Fined $3,200 for too Many Perch and Fishing Without Licences. 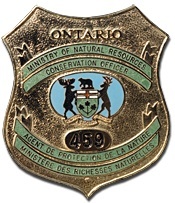 Four Greater Toronto Area men have been fined $3,200 for catching too many Lake Simcoe perch and fishing without a licence. Muhammad Husain of Toronto and Habibur Mirza of Burlington pleaded guilty to catching an over-limit of yellow perch from Lake Simcoe and were each fined $800. without a licence and were each fined $800. In addition, two fishing rods and a tackle box were permanently forfeited to the Crown. The court heard that on April 21, 2013, a conservation officer contacted the four accused and determined they had 220 yellow perch in their possession. Husain had a sport fishing licence allowing him to keep 50 yellow perch and Mirza had a conservation fishing licence allowing him to keep 25 yellow perch. Nezamuddin and Azad were angling but neither had a valid fishing licence. Justice of the Peace Dennis White heard the case in the Ontario Court of Justice, Newmarket, on June 7, 2013. ← Barrie Man Sentenced to Jail for Violating Court Order.